Here is the chance for working professionals to get International Master’s Degree from one of the best university in the world. This course is structured wherein without affecting your current work profile you can continue with your studies to enhance your Management skills. So now you can Earn & Learn and have faster promotions by acquiring management knowledge & skills from the best in the Industry. •USU is ranked amongst the top 100 Universities in Russia. •USU was founded by the Ministry of Education and Science of the Russian Federation in the year 1988. •USU is an affiliate of Moscow State University, Russia. 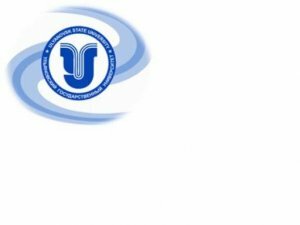 •USU has collaboration with institutions in USA, Germ any, Italy, China, Czech Republic, Bulgaria, Mongolia and other countries. Jaro Education is an approved member of the IADL (International Association for Distance Learning). IADL is established to promote quality in distance education & training and to provide approval & recognition of open, online, distance Learning programmes and course-providers worldwide. It is an independent association of open, distance, online course-providers and does not offer its own learning programmes. Flexibility in Learning - Online lectures are mainly conducted for those students, working executives and entrepreneurs who do not have sufficient time to attend the traditional classroom based teaching. They can attend the lectures as per their convenience. Lectures by Expert faculties- The best faculties in India deliver lectures through online facility to all students residing in any part of the world. Students from small towns as well as cities in India or abroad can avail of the same quality of lectures. For example, same faculties teach students across India in cities like Coimbatore, Chandigarh, Kanpur, Kolhapur, Baroda etc. We understand the students / candidates profile and interest area and then accordingly provide them placement assistance for jobs in India and overseas. We also send regular job updates through emails and SMS's for the career opportunities available as per the preferred industry or domain. Affordable fees, flexible installment options & bank loan facility available. 3 recent passport size color photograph. Photocopies of Graduation/Diploma Certificate/mark sheet. Cash, Cheque towards payment of fees. Jaro Institute of Technology, Management & Research Pvt. Ltd.